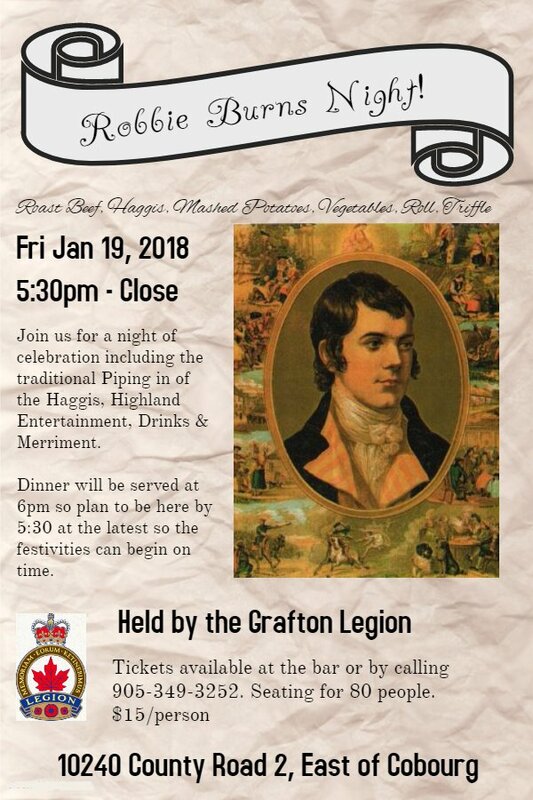 Join us at the Grafton Legion for our annual Robbie Burns Supper. Dinner will be served at 6pm so plan to be here by 5:30pm. Roast Beef, Haggis, mashed potatoes, vegetables, roll, and dessert! A night of celebration including the traditional Piping in of the Haggis, Highland Entertainment, Drinks and Merriment.